Doesn’t that sound good? Since I’ve now been a flexa-vegan-tarian for 5 weeks now and counting, the fried chicken is making my mouth water like all get out. I thought I’d treat the crowd who isn’t beating themselves with a stick (read going on a diet) with a couple of great recipes from my mother-in-law and sister-in-law. 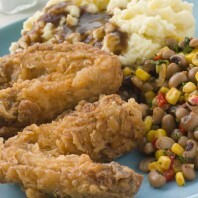 These are consistantly the best pan fried chicken and corn bread I’ve ever eaten. The down side to these recipes is that like all great cooks, Beverly and Ella Ween don’t use a recipe, but cook by “feel” instead. I’ll do my best to provide you with repeatable recipes. 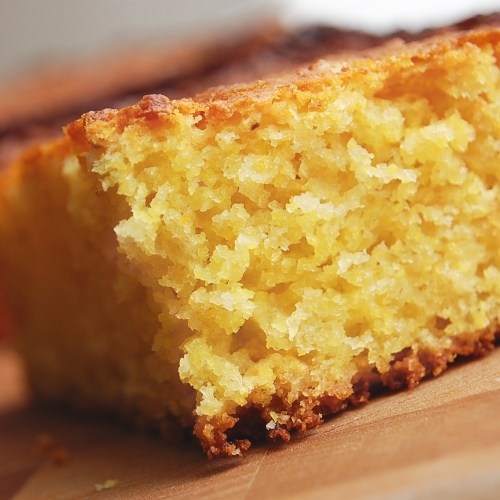 Beverly’s corn bread is crisp on the outside and soft and juicy on the inside. It smells great and is good with just about anything or nothing at all but a little butter. She insists on using self-rising Martha White brand flour and self-rising White Lily brand corn meal and who can argue with perfection. 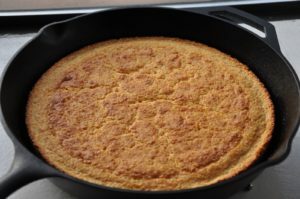 She coats the 9″ cast iron skillet with a heavy helping of Crisco shortening, but I bet lard would be good too. The batter is a mixture of white flour and Corn meal but is heavily weighted to the corn meal side using 3 cups. The wet ingredients are 2 eggs and a cup of butter milk. She cooks it hot at 425-450 and it comes out with a crispy crust because of the Crisco in the skillet. Considering my new status as a non-meat eater, it is going to be hard to get through this post. 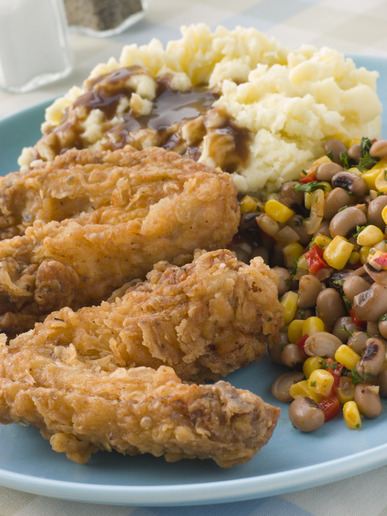 My mouth is already watering from the memories of crispy, tender, succulent fried chicken… …Ok, I’m back now. This chicken that my mother-in-law, Ella Ween makes is hard to describe, except to say I could easily eat a whole bird, piece by delectable, scrumptious, luscious piece. Ella Ween achieves a great piece of chicken by removing the skin and generously seasoning the pieces with salt and pepper before dredging in a wet mix of egg and butter milk followed by a dry coating of seasoned self-rising flour. I’ve seen that or done that before you might be thinking. 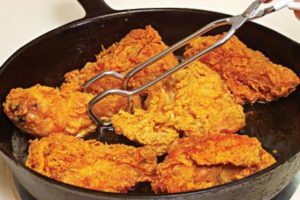 Yeah, you might have but did you use self-rising flour or follow that by browning the chicken on both sides in the hot oil, then lowering the temperature and covering the pan while simultaneously frying and steaming the bird? I didn’t think so. 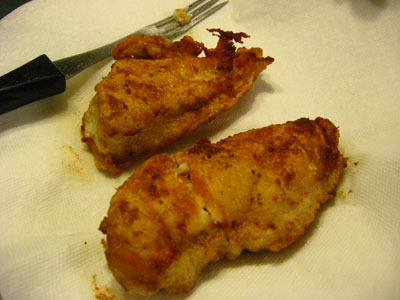 People, this is seriously good chicken.